The Environmental Association for Universities and Colleges (EAUC), the sustainability champion representing the UK higher and further education, entered in July 2014 into a three-year agreement with the United Nations Environment Programme (UNEP) to advance sustainable innovation among future generations. 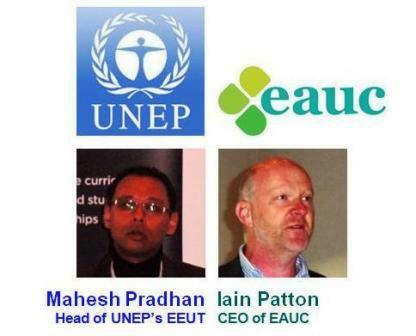 This partnership will bring together the EAUC’s member organisations (over 230 UK universities and colleges) and the UNEP’s Global Universities Partnership on Environment and Sustainability (GUPES) network (over 430 universities and regional partners/focal points from five different continents) around three key pillars, namely education, training and networking. In this partnership which will strive to link and support tertiary education institutions worldwide in sustainability, UK universities and colleges will lead as well as learn from other leaders, especially from the Global South. The Green Gown Awards: This partnership with UNEP will help the EAUC to expand the Green Gown Awards further across the globe with an emphasis on profiling and learning from the Global South. Administered by the EAUC and governed by a cross agency steering group, the Awards recognise the exceptional sustainability initiatives of universities and colleges across the UK, covering all aspects, including teaching, research, leadership, buildings, food and communities. The UK and Australasia Green Gown Awards are now in their 10th and 5th year, respectively, while the French speaking Awards is a new addition this year. Measurement of institutional sustainability performance: This partnership will also encourage universities and colleges worldwide to measure their sustainability performance, particularly using the Platform for Sustainability Performance in Education. This platform, supported by the United Nations Educational, Scientific and Cultural Organization (UNESCO), the UNEP, Principles for Responsible Management Education (PRME) and the Global Compact, brings together organisations which have created sustainability assessment tools designed to support universities and colleges around the world. It is also designed to assist commitments of Higher Education Sustainable Initiative (HESI) signatories and can also support complimentary Rio+20 initiatives (e.g. the People’s Sustainability Treaty on Higher Education). The GUPES: The Global Universities Partnership on Environment and Sustainability (GUPES), which seeks to foster closer linkages between UNEP’s policy domain and universities across the globe, is one of the flagship programmes of UNEP’s Environmental Education and Training Unit (EETU). The GUPES was the result of a consultative forum organised by the UNEP and its partners in Nairobi in 2010 on ways of escalating UNEP’s engagement with universities. It builds on the successes of the Mainstreaming Environment and Sustainability in African Universities (MESA), the Mainstreaming Environment and Sustainability in the Caribbean Universities (MESCA) and the Asia-Pacific Regional University Consortium (RUC). 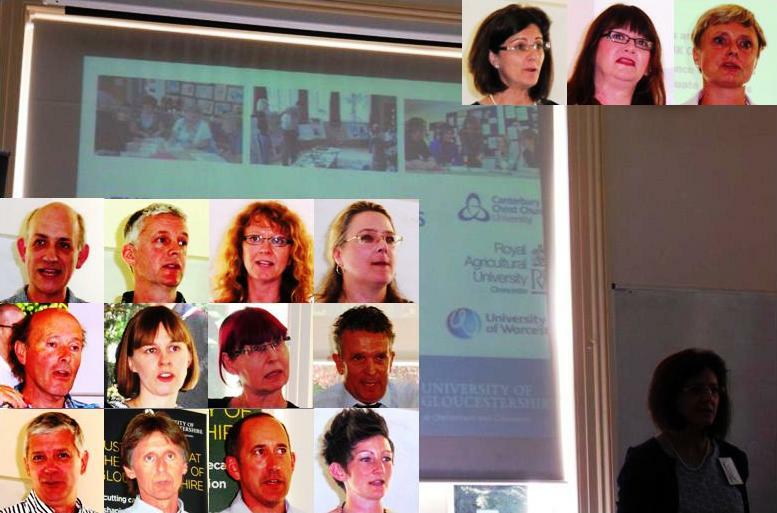 The tenth Green Gown Awards Ceremony will take place at the University of Manchester on 3 November 2014, announcing the winners out of over 100 finalist projects from 62 UK tertiary education institutions. Organised by the Environmental Association for Universities and Colleges (EAUC), this event annually celebrates the exceptional sustainability initiatives in the tertiary education sector in the UK, bringing together the sector’s sustainability leaders, drivers and thinkers. The awards are open to any UK tertiary education establishment, including all post-16 educational institutions such as colleges, universities and learning and skills institutions. This year has seen three new categories, namely Enterprise, Food and Drink, and Leadership Award. The Leadership Award, which is exclusive to senior strategic leadership at tertiary education institutions, is pursued by four finalists, namely Professor Patrick Bailey (Pro-Vice Chancellor, Environment & Sustainability, Keele University), Professor John Brooks (Vice Chancellor, Manchester Metropolitan University), Professor Daniella Tilbury (Dean of Sustainability, University of Gloucestershire) and Professor James Longhurst (Assistant Vice Chancellor, Environment and Sustainability, University of the West of England). The Awards comprise two types of categories, namely Organisation and Individual. At the International Green Gown Awards, winners of the UK and Australasia Awards (organised by Australasian Campuses Towards Sustainability, ACTS) will be brought together in competition under three categories, namely Continuous Improvement: Institutional Change, Social Responsibility and Student Engagement. 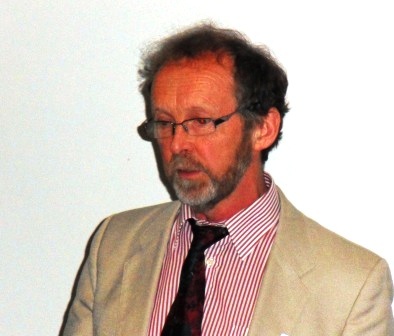 The Higher Education Academy (HEA) awarded in June 2014 a National Teaching Fellowship (NTF) to Professor Stephen Sterling in recognition of his pioneering efforts to advance sustainability education. He is one of the 55 recipients of this prestigious award for excellence in higher education teaching and support for learning, selected from over 180 nominations submitted by higher education institutions across England, Northern Ireland and Wales. Professor Sterling is Professor of Sustainability Education (Centre for Sustainable Futures CSF) and Head of Education for Sustainable Development (ESD) at Plymouth University. His research interests lie in the interrelationships between ecological thinking, systemic change, and learning at individual and institutional scales to help meet the challenge of accelerating the educational response to the sustainability agenda. His varied career has included roles as teacher, deputy director of a national educational body, consultant (particularly to WWF-UK), freelance academic, academic tutor at London South Bank University (LSBU), and Professor at Plymouth University. Among his credits are co-founding/writing the first masters course in the UK on education for sustainability (at LSBU), co-editing the first book published anywhere on this field, writing/leading on another three key books in the area, producing the HEA-commissioned Future Fit Framework that has inspired academics and universities to embrace sustainability in their teaching, and leading a WWF project on systems thinking, namely ‘Linking Thinking – new perspectives on thinking and learning for sustainability’. He has also played a critical role in Plymouth’s commitment to and success in sustainability for many years. The HEA NTF scheme is funded by the Higher Education Funding Council for England (HEFCE), the Higher Education Funding Council for Wales (HEFCW) and the Department for Employment and Learning in Northern Ireland. It is open to staff whose teaching or support roles enhance the student learning experience at institutions in England, Northern Ireland and Wales. This news post is based mainly on the HEA news posts and Professor Sterling’s profile on Plymouth University website (Please see below for the links).